In my case, I had renamed the project and changed it's folder structure. I found that updating the RootNameSpace and AssemblyName in the .csproj file where the error was being thrown resolved the error. If you have modified paths of your project I'd recommend checking this as well. It is also possible to get this exception (even when you have a correctly configured startup class) if running through IIS Express and your virtual directory is not configured correctly. Not the answer you're looking for? 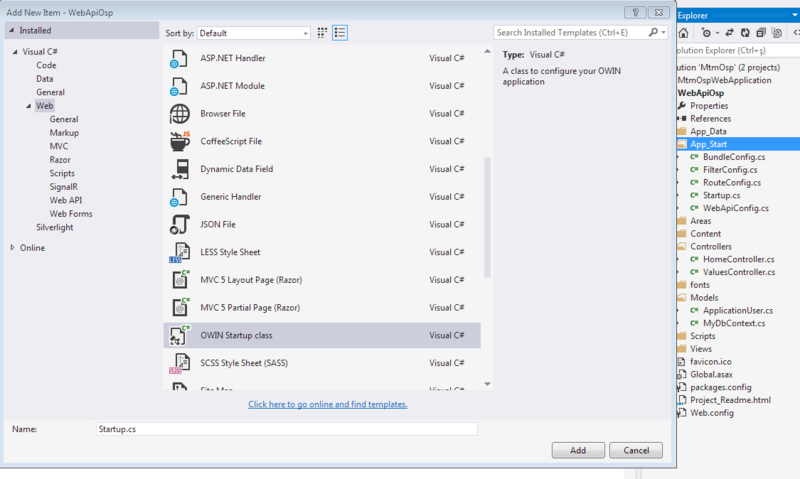 Browse other questions tagged c# asp.net-mvc-4 visual-studio-2012 owin or ask your own question. Safe to remove all OWIN packages from MVC5 project with Simple Membership? Why are OWIN startup classes declared as partial, yet sometimes not?